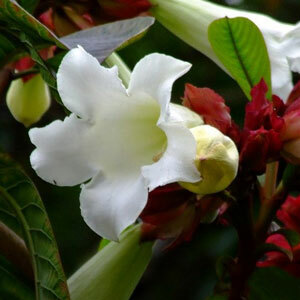 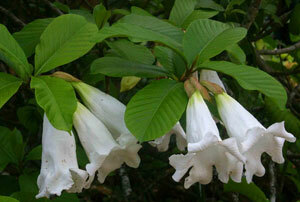 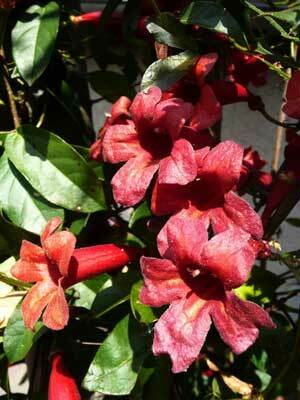 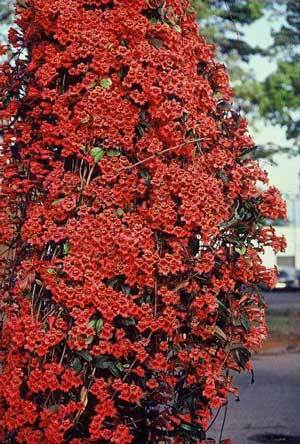 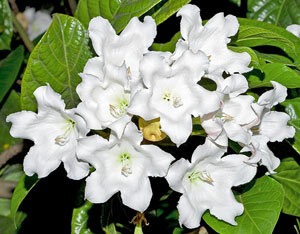 This is Beaumontia grandiflora, also known as Beaumontia, Heralds Trumpet, Easter Lily Vine, and Nepal Trumpet Flower. 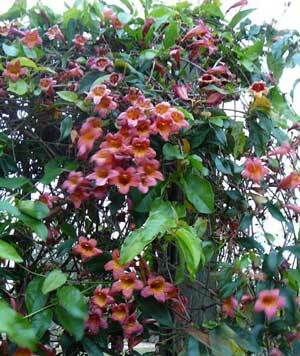 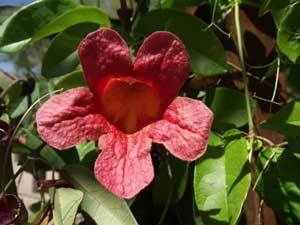 This tropical vine is very fragrant. 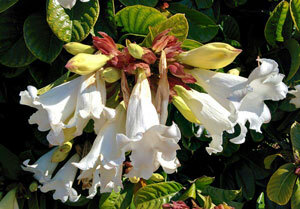 It likes to live in full sun where its magnificent white blossoms are on display from late Spring through the middle of the Summer. 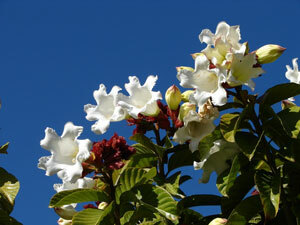 USDA Hardiness Zones 10 to 11.